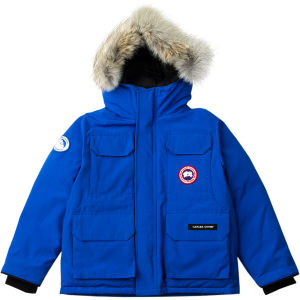 Your daughter loves the cute style of the Canada Goose Girls’ Brittania Down Parka and you love the warmth and weather-protective features that keep her comfortable on her walks to school. 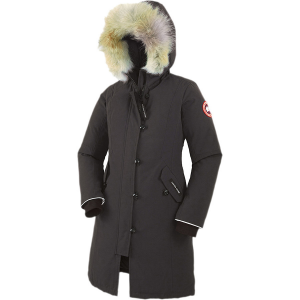 The 625-fill down insulation covers her knees to her head with wonderful warmth in winter weather. And thanks to down’s warmth-to-weight ratio, your girl will remain cozy without feeling like she’s wrapped in a heavy lead blanket. Both the Arctic-Tech shell and lining have water-resistant coatings that increase this jacket’s protection against wet weather. When your daughter starts her growth spurt, you can extend the sleeves an inch and a half for additional coverage. 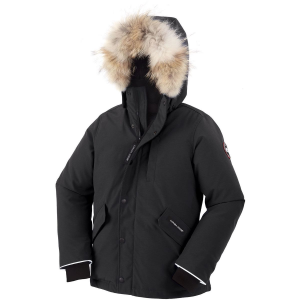 The Brittania features an adjustable hood that cinches down in blustery winds, and the fashionable fur ruff is removable to help you clean the jacket when it gets dirty. 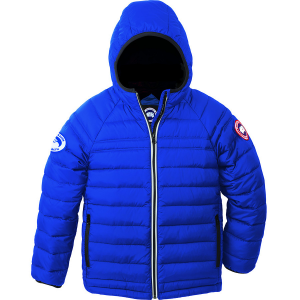 A storm flap covers the front zipper to prevent cold winds from seeping in through the jacket’s front. Rib-knit cuffs keep all that wonderful warmth in, and an elasticized waist seals the cold out of her body. 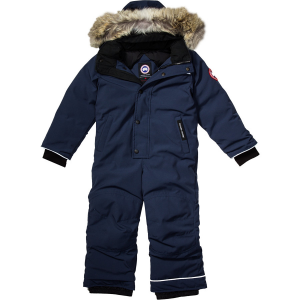 Canada Goose lined both hand pockets with fleece for a cozy feeling. The internal security pocket has a cord port to hold her headphones in place, and glove hooks ensure she doesn’t lose her gloves when she gets to school.